The latest edition of the annual Poma Reference Book is out and features pictures, statistics and diagrams from projects the storied French manufacturer completed last year. Poma has now built more than 8,000 lifts in 80 countries and many of the newest gondolas and detachable chairlifts were built in Asia last year. One of them was among the first gondolas to utilize Sigma’s new Diamond Evo cabins with sliding doors in China. Other projects were realized as far away from France as Inner Mongolia, Vietnam and Myanmar. Another notable installation was a 10-passenger reversible tramway with double LPA grips in Ecuador. 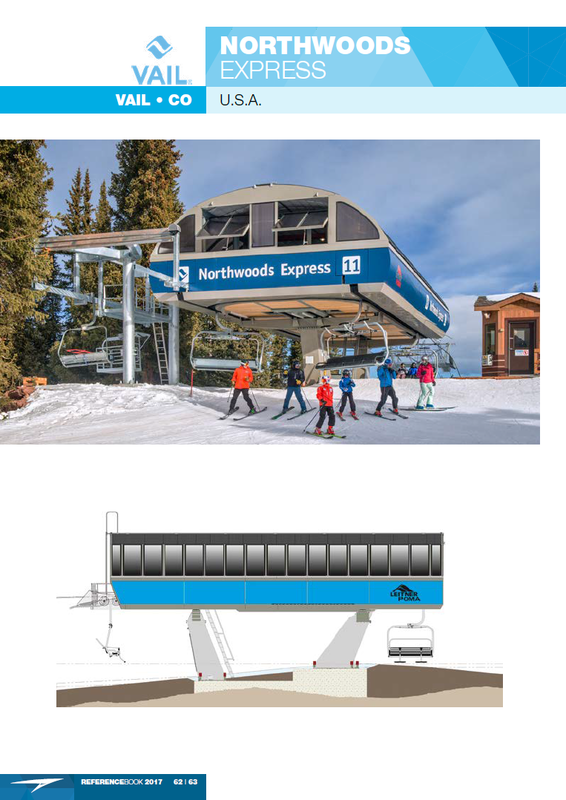 Unfortunately not quite all of Leitner-Poma of America’s U.S. and Canadian projects were included in the book but there are some excellent images of three new six-packs built for Vail Resorts in Colorado as well as the supremely unique quad at Alta, Utah. As you scroll through the pages, note how many of Poma’s detachable lifts built outside North America in 2017 feature Direct Drive. LPOA plans to bring the innovative technology to Colorado for the first time in 2018. Previous Article News Roundup: Un-Lost? Shoot me your address and we will get you copies of all the books!!! FYI: Preparations for an express air freight delivery with 70 tons of high quality steel wire rope to Vietnam. Since the stranded rope reached the end of its service life early and completely unexpectedly, the customer opted this time for a high-quality steel wire rope from FATZER. Given the urgency of the order, our logistic-specialists decided to ship the two bobins with 70 tons by air cargo. Departure will be tomorrow with an Antonov-124 from Zürich Airport ZRH. Looks like the gondola closed unexpectedly on May 10th for repairs so Fatzer may have manufactured the 22,000′ of replacement ropes over just a few weeks. -The flight cost $500,000 and the new rope several million more. -The An-124 burns more than 10 gallons of fuel per second and had to stop in Turkmenistan on its route from Zurich to Vietnam. what determines the end of the life for a haul rope? 2) Reduction of the diameter by more than 6% of its original nominal diameter. This would cause issues with the grips ability to clamp properly.